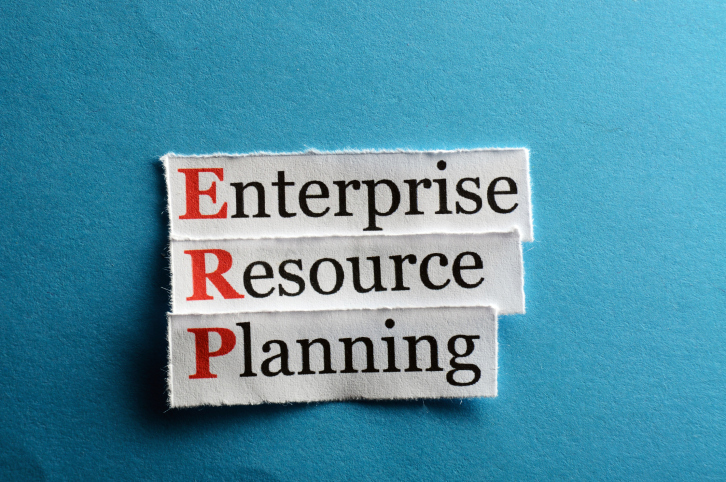 Companies frequently undertake large ERP replacement programs that are totally unnecessary. A pharmaceutical company was convinced that it needed either to replace its current enterprise-resource planning (ERP) system with a totally different software package or install the major upgrade that the current vendor was pushing. Why? • Dozens of spreadsheets, and manual workarounds had sprung up in the plant to help with production scheduling and handling make-to-order items that were new to the business over the past few years. • The executives weren’t getting accurate margin data on which to base decisions. • Sales forecasting, new pricing and rebate schemes, sales management reporting and period-end financial closing all required extensive manual intervention. The assumption was that the company, a client of ours, had outgrown its current ERP system, and that a $5 million investment was required to implement an ERP package that would address the current issues. However, after a five-week deep-dive review of the sales, supply chain, finance processes and the company’s use of its current ERP system, it became apparent that the current software was more than adequate. • Redesign key business processes around changes in master data and configuration settings. • Implement high-value BI sales, margin, forecast performance and financial reporting. • Implement a finite scheduling package to make the best use of production scheduling. This company is not an outlier. Companies frequently undertake large ERP replacement programs that are totally unnecessary. Several factors lead to this misstep. •ERP software vendors that are constantly introducing new features and versions, as they must to drive their growth. Whether cloud-based versions, different functionality or new industry-specific solutions, vendors are constantly suggesting reasons for their customers to upgrade. • Constant personnel changes in the executive ranks. New executives bring their past experiences and biases with them. Whether the current ERP system is Oracle, SAP, JDE, QAD or XYZ, a new executive can always find issues with the current system and justify why the package they prefer, or are simply more familiar with, is better. • Unclear understanding of the rationale behind their current ERP solution. Very few executives can articulate the business rationale behind the selection of their companies’ current ERP packages or the process designs that went into their configuration. They also often lack the strong combination of business process and package expertise required to determine how to adapt the software to their companies’ evolving business model. Together, those three dynamics often lead to a decision to replace the existing software even when a much lower-risk, lower-cost solution can deliver the desired business benefits. In the information-technology world, the term “legacy” typically carries a negative connotation. But legacy systems usually represent years of development and investment and provide mission-critical capabilities upon which the business has come to rely. In fact, most user complaints about these legacy ERP systems are not about whether the system delivers the required business functionality. Instead the complaints center on the perceived failure of ancillary features, like inadequate tools to access and analyze data, insufficient reporting capability and poorly designed user interfaces. For example, a mid-sized manufacturer that was running a legacy ERP system had come to the conclusion that the system could not provide the insight to plant productivity required to effectively run the business. That ERP system had been installed for a number of years and had been enhanced to meet some very specific business requirements that a new ERP package would not likely support. In fact, the root cause of the problem was the configuration of the plant-floor scheduling module and the ability to correctly combine the actual production data from the manufacturing-execution system with the schedule data. By changing the ERP configuration and implementing a data-analytics solution to combine the plan and execution data to provide the business with the metrics required to effectively manage the business, the company was able to address the business issue within its existing ERP system. In cases like this, targeted investments to resolve specific business issues are less risky, less expensive and deliver bottom-line value more quickly than entire system replacements. In particular, companies can derive significant value through targeted point solutions aimed at optimizing specific planning functions and providing business-decision support. Consider the use of specific point solutions. Most ERP packages today are very good at processing transactions (customer orders, purchase orders, manufacturing orders, accounting entries, field service orders, shipments, returns etc.). But most of the improvement in operating profit typically comes from specific point solutions, such as price optimization, production-scheduling optimization, inventory- level optimization and transportation optimization. Focusing on implementing point solutions, whether specific modules of the existing ERP software or third-party packages built to work with the ERP package, is often the best way to address key business requirements and improve the bottom line. 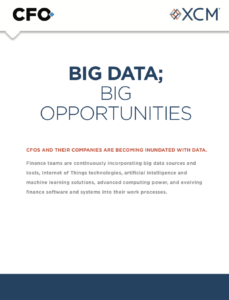 Then there are business-decision-support solutions (also known as focused “big data”). Most companies have all of the data needed to provide executive management with the analyses required to support the day-to-day business decisions. But very few companies are laser-focused on providing the business with exactly what they need to make those daily decisions. Instead, companies typically put all the data in a data warehouse and let the business access it without providing the necessary analytics. A decision-engineering approach identifies the exact business decisions for which executives need assistance — for example, what price should I set for this product, how many drivers should I schedule for tomorrow or how should I sequence production? Such an approach can improve the bottom line by helping executives make a better decision by using analyses and information targeted specifically for that decision. Just because an ERP system is old doesn’t mean it isn’t doing its job or that it needs to be fully replaced. It’s important to remember that the original purpose of ERP systems was to process business transactions efficiently. As long as your ERP system continues to do that, the costs and risks associated with wholesale legacy-system replacement can make for a poor strategic decision. Often the issues with current ERP systems can be addressed with point solutions focused on optimizing specific functions and with business-decision-support solutions. Re-directing efforts to these solutions can be a much more effective — and cost-efficient — way to improve bottom-line results. Bruce Myers is a managing director and Chris Payne and Adam Pollak are directors in the information technology and applied analytics practice at AlixPartners, a business-advisory firm. This is a very good article about a topic rarely acknowledged. Also, take a look at the article “A Dozen Reasons You Do Not Need a New ERP System”. Although it is an interesting overarching theme for the article, the suggested alternative courses of action aren’t preferable from a strategic standpoint. Implementing point solutions is not necessarily cheaper, as single pieces of a system are often more expensive than bundled packages. The smaller the purchase, the less negotiating leverage you have when dealing with vendors. Point solutions also require integration work to be incorporated into legacy systems which comes with costs – sometimes substantial. Additionally, ERP systems, just like all other technology products, become antiquated, and the investment to overhaul their current use via process analysis and installation of additional tools is a temporary fix. It’s the same as saying “Why You Shouldn’t Buy a New Car”. If your car is Old, guzzles gas, does max 50 on the interstate, and goes to the mechanic every week…then, you may not be well served by regular patchwork. However if you have a good car, but it only needs an engine tuneup, an oil change, and a rear camera, then by all means…don’t buy a new car. This article however makes several good points. Many executives do not have the experience and patience to see an implementation through properly. They always budget low on time and money, and and make high promises….usually what comes out from a during-golf conversation with a “trusted” “friend”. Capital investments such as ERP are strategic to an organization. They provide a much needed nervous system and automation. While it is usually a major pain in the end zone to put in a new ERP, newer ERP solutions have fantastic features that may actually reduce the need for multiple point solutions. If the decision to implement an ERP is the result of a deliberate, detailed process and is backed with a strong, fact based justification…it would be a strategic blunder not to go in for a new ERP. Interesting article. Businesses are no longer wanting to spend multi-million dollars on revamping their current ERP applications – its too expensive and takes too long with a lot of inherent implementation risks. However, they do want the functionality that can provide them with the insights, transparency and increased controllership, which is where smart, opex based bolt-ons come in handy. More and more organizations are experiencing the value in what they’ve already paid for. 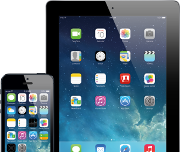 Software vendors will continue to sell with additional license fees until the consumers smart up to the fact that they already have what they need. The challenge is in change management and integration governance, and the ERP vendors don’t teach that. Search “revealvalue” on YouTube and listen to customer stories where they have saved loads of money and seen significant increase in customer service through better use of their existing ERP system. Good article with some valid points – as always, a correct and thorough understanding of your current ERP system is needed with ongoing review and development. Wise article indeed…Finding a judo solution (one that delivers maximum efficiency with minimum effort) is all about getting the most of out doing the least. Problems can usually be solved with mundane solutions. That means there’s no glamorous work and that you don’t get to show off your amazing skills. You just build something that gets the job done and move on. Good point well made but not everything can be achieved with old versions and it becomes a must to replace or infact make new (BIG) changes in the existing system. Of course spending the $5Millon for a complex proprietary Tyre 1 erp is a bad decision. A solution that can be looked at is a much less expensive Agile ERP, which can be grow organically with the organization protecting the initial investment and Delivering ROI at each modification level. The new agile ERP based on Open Source can be considered if the initial cost is less than the Annual Maintenance Cost of the exciting ERP. Good examples are Open Bravo, erp2online, Open ERP. Perhaps the case is always not the same? A company doing a multi-billion dollar business can always afford to spend millions on the system which will, to much extent, help it make those revenues/profits, often those system being a basis for making their big decisions. Of course, the companies should be able to analyze the ROI before upgrade/implement, i believe – while also should be able to check the opportunity cost without the upgrade/implement. I didn’t get why the topic is such – so negative :). Article surely is interesting and generates suggestion or arguments which will be based on current ERP state of an organisation. ERP related decisions – maintain, upgrade or replacement should be always looked as neutral as possible and in the similar way we consider business feasibility. Vendor upgrade on the product and how they connect with business needs and incorporate in the product can make a huge difference. Key thing is what an organisation expects from the product considering readiness of internal people (change management) and availability of processes. Majority of the cases, ERP usefulness is measured with kind of reports it generates. Existing product gets discarded due to lack of analytics/reporting not realizing that new product will have the same challenge as company forgot to invest on a resource which can constantly develop report or business analyst who maps the organisation business need and ask vendor to develop the reports.